← Pwints.com Aims To Make Your Kids Rooms UBER Cool ! 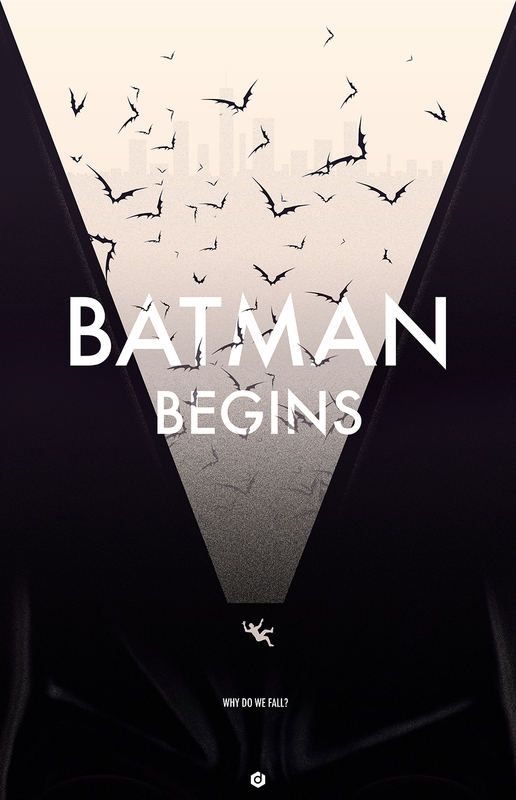 Doaly is tackling Nolan’s Dark Knight trilogy with a series of noir prints. So far he has tackled the first two films and both prints capture the essence of a very specific moment from both films. The central theme behind each poster is the question, “Why do we fall?” Since I’m never smart enough to figure these things out I reached out to Doaly for a little clarity. Here is what he had to say. “Why do we fall?” this quote from ‘Batman Begins’ is one of the many reasons why I fell in love with the film, in the series I wanted to capture defining moments in the film/character progression that make this trilogy truly amazing. For Begins my aim was to capture the moment where Bruce’s journey would begin onto the path of Batman and for Rises we have come full circle with the character, all that’s left is to fill the gap with the Dark Knight. Some would say the hardest of the three to visualize. 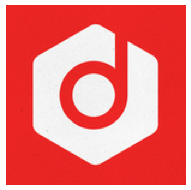 Follow Doaly on TWITTER or head over to his WEBSITE to see all the amazing work in his portfolio. Just be forewarned, as he so eloquently describes himself as a “designer, doodler, photographer, day dreamer, part time superhero“ he has much more to offer than just great posters. 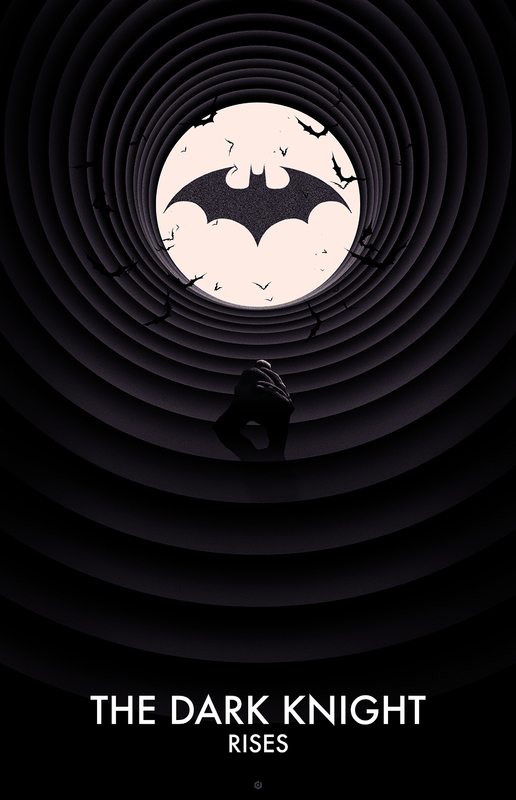 This entry was posted in Art, DC, Movies, Poster Posse, Posters and tagged batman, batman begins, Christopher Nolan, Doaly, noir prints, Poster Posse, The Dark Knight, The Dark Knight Rises, trilogy. Bookmark the permalink.